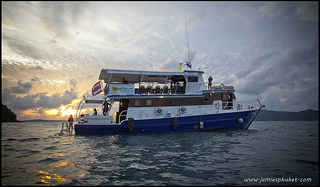 Sunset Dinner Cruise Phuket with MV Sai Mai will be one of the highlights of your time in Phuket. 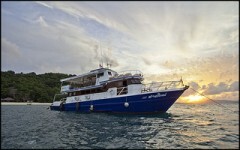 Come and enjoy a romantic sunset in Phuket and dine first class on board MV Sai Mai. Sai Mai is the perfect vessel to enjoy a romantic sunset meal with your loved ones. She has the facilities that you would expect from a quality vessel such as her. 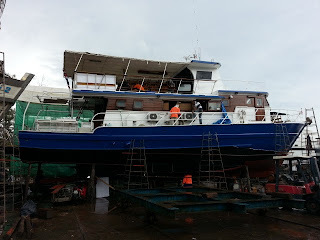 Every thing is taken care for you, and all you have to do is take it easy and let our experienced crew take care of you. Our captain will gently glide you around the many small islands of the southern area of Phuket, all you have to do is sip Ice-Cold Cocktails from out extensive bar and simply take in the breathtaking views. Our Chef will conjure up the magic in the kitchen. Every dish we served is freshly prepared that day and cooked fresh on the boat that evening. 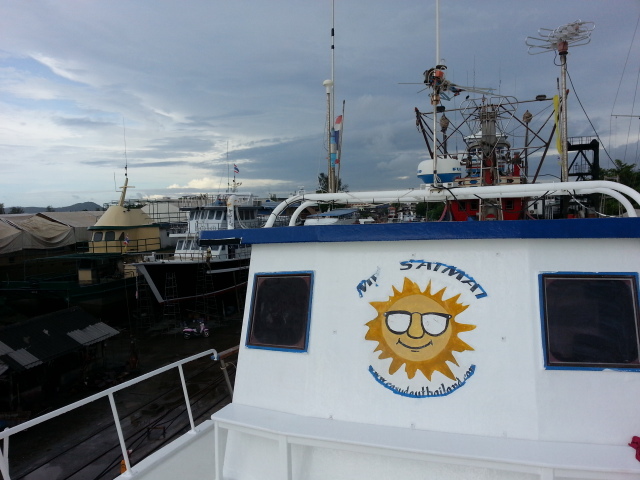 The sunset cruise is one of the most popular trips that we do and you will see why, once you have witnessed the spectacular Andaman Sea Sunset. Our Menu for the sunset cruises changes daily please see below for your favourite Thai dishes all prepared by our expert chef freshly for you on-board MV Sai Mai. All the meals are freshly prepared on the day of the cruise by our own chef. If there are any special dietary requests please feel free to contact us. Time is running fast and we already are at mid September, the week started quiet good on Monday and Tuesday. 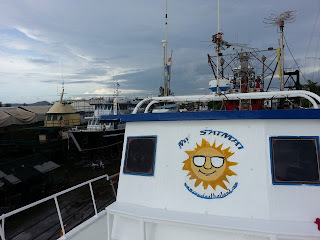 As usual rain and sun shine, but them from Wednesday we had worst weather since weeks, strong wind, strong wind dusts and high waves. Sky turned dark and clouds were tick, rain was very heavy for almost two days. Thursday afternoon weather improved and blue sky was again seen. Friday then everything turned back to normal with little rain or at least lasting not longer than an hour. And since Saturday morning again a great a great surprise with sunshine and basically two days without rain, wind down and the sea is flat as during winter. Lets see what next week will bring in, however forecast are for good weather. 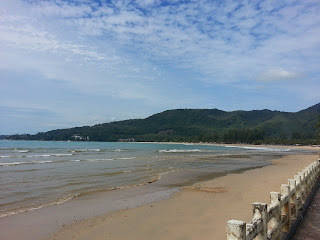 The week was great weather wise, sun shining everyday, just few drops during afternoon or evening that refreshed the air. 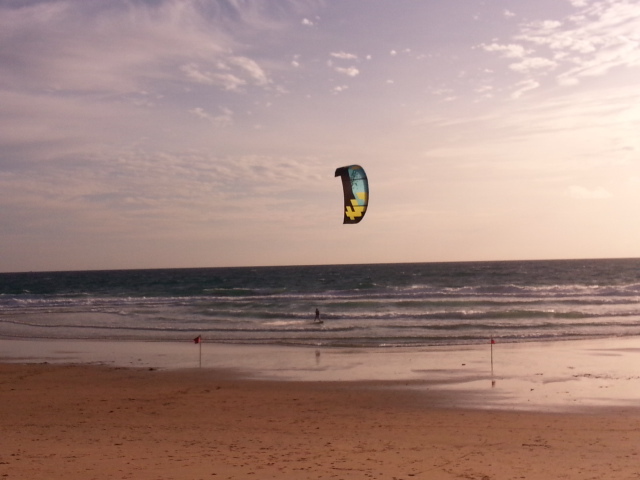 Wind is now bit stronger since yesterday making fun playing with waves. Today sky was more covered the previous days but no rain. 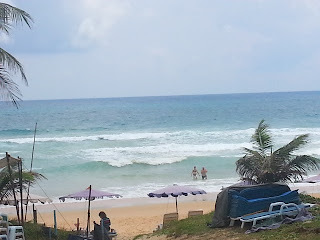 With stronger wind some kite appeared at Karon beach that is popular for surfing, kites surfing in Phuket is possible only for a short period of the year, wind is always too weak or too stronger. Also beaches are not the best and need to be there at correct tide. However there are few kitesurfing school in Phuket and if like to try ask them when will be best time. 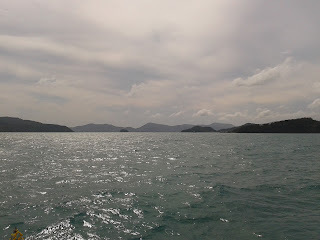 Forecast say that will blow stronger until tomorrow , so expect waves in open sea, then back to almost flat and no wind during week end and for rest of next week. 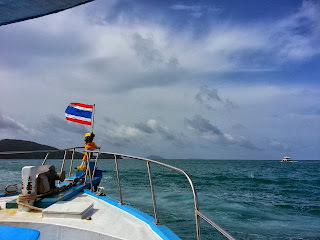 However how can see from our boat MV Sai Mai in Phi Phi waves are not high and is possible to enjoy diving and sailing around, only concern is use of speedboat specially if like to avoid a bumpy way back. Another week end without rain or storms as it was from forecasts, likely, wind is still stronger than usual but not dangerous or too strong. During Friday and Saturday was sunshine for all day and the wind kept air fresh, so very good condition. 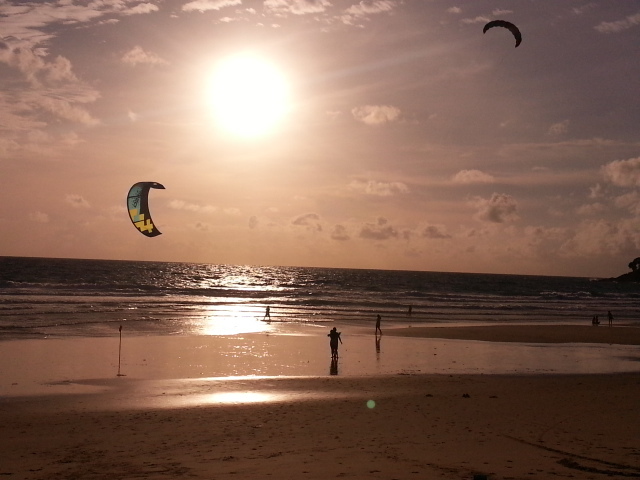 As usual a lot of people down the beaches to enjoy the sun and playing with waves. During change in tide waves are bigger this weekend because of full moon, so be careful and stay in shallow water. 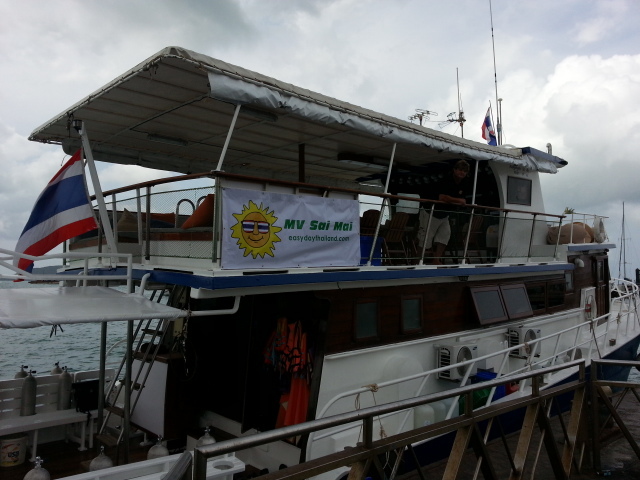 This morning a renewed MV Sai Mai was ready to sail for three days to Phi Phi, however waves offshore can be higher then 1.5 meters so customers decided to get to Racha Yai instead. Today sky was cover in clouds but it didn't rain. 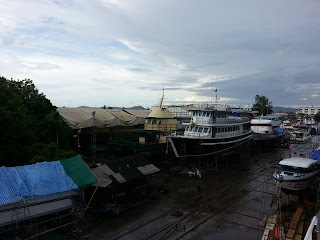 Much worst than expected, the tropical storm "Rumbia' hit South Thailand with its tale, changing variable day into a heavy rain afternoon. 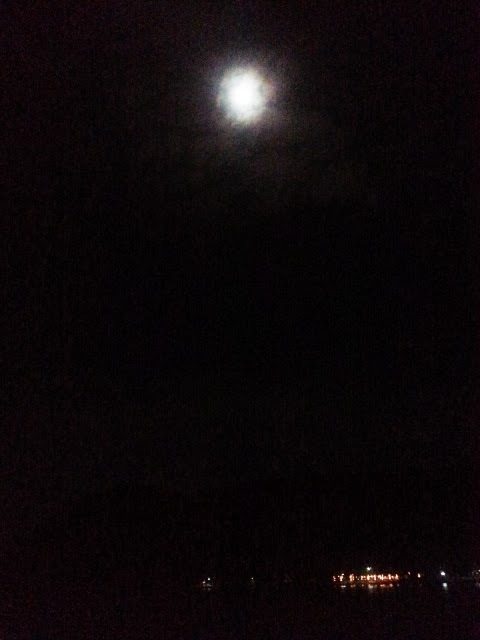 This morning large part of the sky where clear. Then slowly in the afternoon more clouds gathered and changed the day into rain. This should now stay for two days and then back with normal variable weather. Wind was quiet just strong wind gusts before heavy rain, however worst day should be Thursday then calm down to get back to good on week end. Pictures were taken at Asia Marine Shipyard where our boutique liveaborad M/V Sai Mai is doing end of season maintenance and having a great lifting to make her nicer from next week. Today the update is directly from the sea, all morning blue sky and just a breeze, however on the way to Racha Yai big swell from south west. Sea was flat around the islands south of Phuket. At Racha Yai Island great weather and if you like to enjoy beach and sea then the best is book few nights on this beautiful islands, just 15 miles south of Phuket. 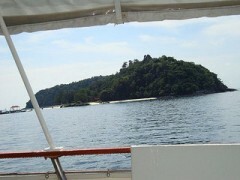 The island east side is sheltered from wind and waves making the place ideal for a relaxing holiday, no traffic and confusion. 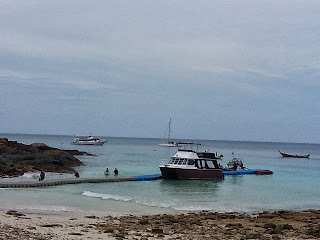 Can enjoy great snorkeling and diving straight from the shore, there few restaurants to enjoy dinner directly on the beach and couple of bars if like to sit and have a beer. Surely no night life.....Just Relax. 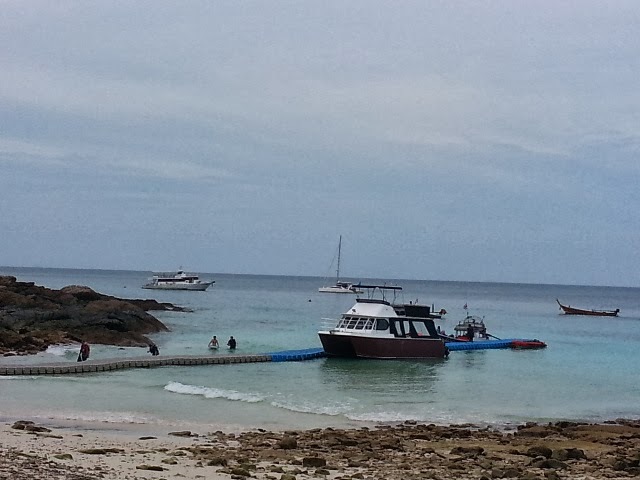 Best way to enjoy the island is with at least an overnight stay, as between 10:00 and 14:30 a lot of day trippers are coming here to enjoy the beautiful sea, but then the island go back to quiet life as usual. 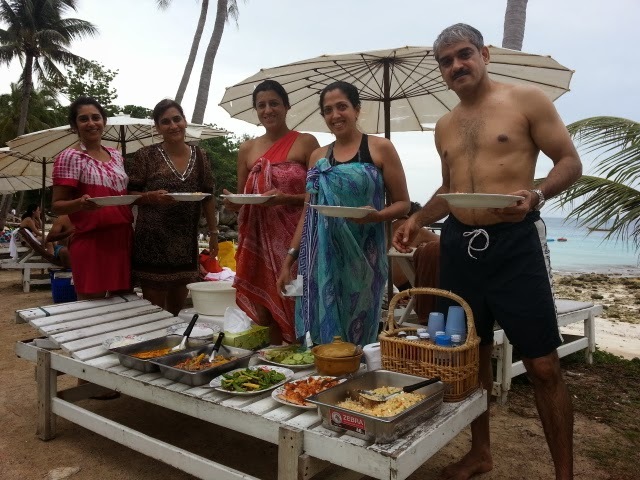 Stay at Ban Raja Resort and Spa is surely best choice. 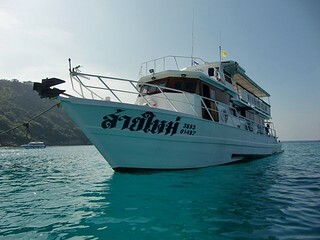 Or do an overnight trip on boat to really discover the place specially if like to dive. Just to say that Richard and I had a great trip on the MV Sai Mai. We thought that Khun Nok was excellent, and great company. Diving was great. The food was really good and the crew were great as well. 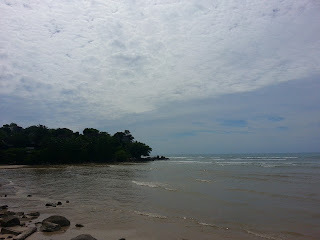 Also Andre (?spelling) at the Meridien Karon beach was really helpful when I did the refresher.